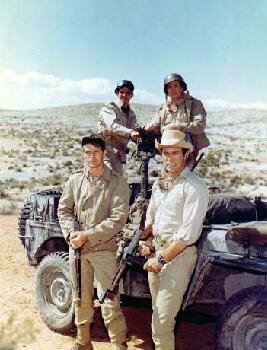 The exploits Long Range Desert Group were honored in a British made movie in 1958. 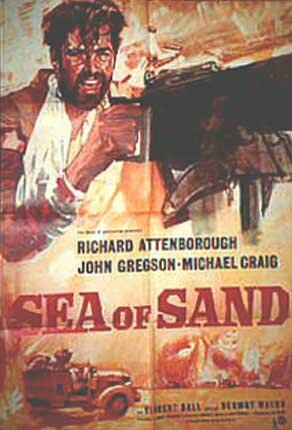 This is the often overlooked war drama, Sea of Sand. 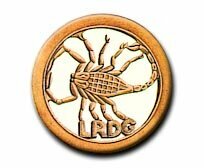 Since then several "Private Army" movies and a TV show have been produced that were inspired by LRDG operations. The hand picked volunteers are not always the cream of crop. In some instances the men come from the criminal class. Some how a female lead will be worked into the formula. Patton & Walker Bulldogs Tanks, White Halftracks, and other modern/wrong equipment used as substitutes. Thin plot supported by lots of boom and high body counts. Everything is a suicide mission. Despite the cliches, several are worth watching. The review scores are from the Internet Movie Database, which rate movies one through ten stars. With the exception of Sea of Sand which probably deserves to rank a little higher, I feel the ratings are deserved. Have a comment? Please go to the Rally Point to suggest other LRDG movies or to comment on the movies listed below. A team of British sappers are attached to an LRDG patrol being sent to destroy a German petrol dump. Being made in 1958 saves the movie from the worst of the cliches mentioned above. Bill Kennedy Shaw (LRDG Intelligence Officer) was sought as a technical advisor as thanks to his efforts many of the technical aspects of the movie were worked out. 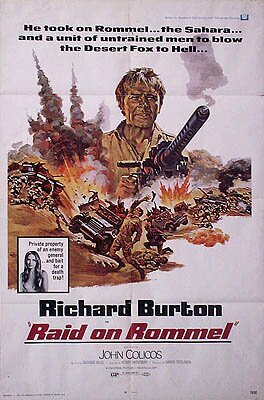 This is Hollywood's version of the Ill fated Tobruk Raid planned by John Haselden. The raid concentrates more on the commandos and the SIG involvement. I guess George Peppard is David Lloyd Owen, however he's part of the SIG. Nigel Green I think is suppose to be the John Haselden character. Fun but lacking in so many ways. 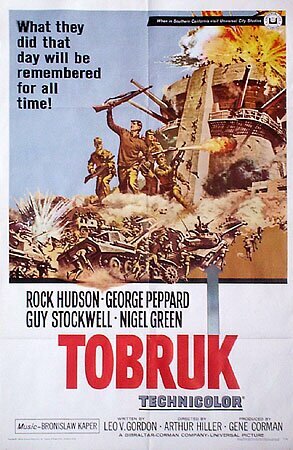 Imagine the movie Tobruk with a gritty edge to it. The beginning scene with Caine in his jeep listening to the German broadcast of Lilli Marlene gives you hope that the movie is going to be a better than average for a 60s war movie. 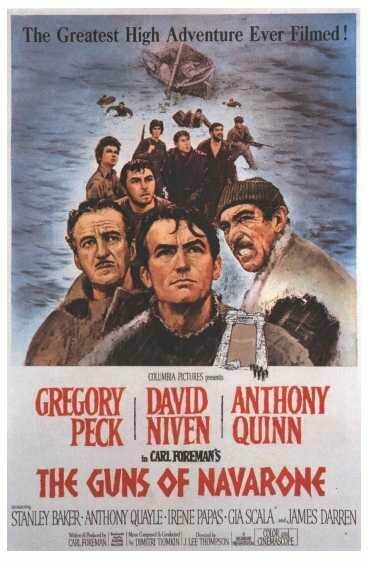 It is better than many such movies but has several flaws. Better than Tobruk but not as good as Sea of Sand. 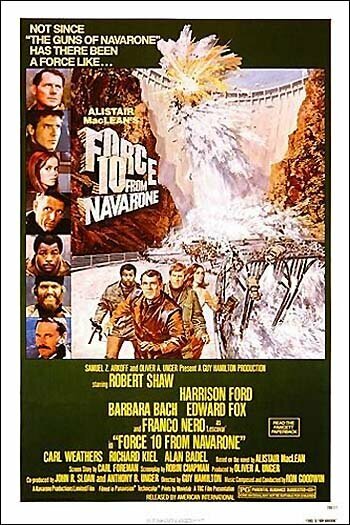 It's been a long time since I've seen the Guns of Navarone. The book by Alistair MacLean was supposedly based on an actual LRDG raid somewhere in the islands near Greece. Has every Hollywood cliche imaginable, including the requisite African American and race issues. Fun action movie. When Lloyd Owen proposed a new mission for the LRDG he mentioned the concept of training the partisans and assisting them in the fight for their homelands. This mission begins in Italy (the HQ for the LRDG when operating in Greece and Yugoslavia) and has the team air dropping into Yugoslavia where they meet up with the partisans, who don't trust them. Eventually they start working with the partisans and the four commandos of Force 10 save the day. 58 episodes, 30 minutes each original running time. 4 men, 2 jeeps, vs. the entire Afrika Korps, 30 minutes at a time. The Jeeps remain OD. Filmed in Spain. Has lots of shoot 'em up but let's face it, you can't knock out every tank and half track with an M2 machinegun. Also, we all know the American were not the ones doing these raids. Some sources say the series was inspired by the book "Popski's Private Army"